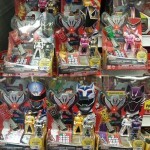 Tokunation › Power Rangers › Remaining Wave 5 Legendary Ranger Keys found at Retail! 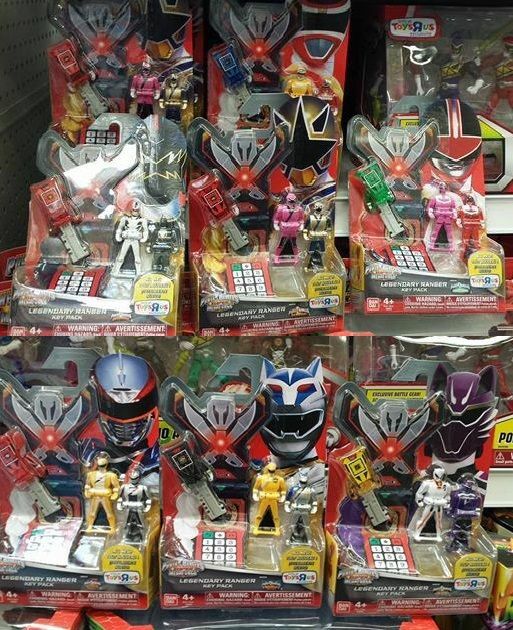 Currently the finder and location of the Toys R Us in question are unknown, but the remaining sets of Super Megaforce Ranger Keys have been found at retail! I hope we get a new pack for Lost Galaxy so we can get a pink key. Hey, that's great news! I was beginning to think we weren't going to see these. Thank goodness we didn't end up with some kind of Walgreens limbo or whatever we've had in the past. I've been waiting for these to show up. There was no way Bandai would make molds just for Power Morphicon and sell them for only $10 if they didn't plan on releasing them later. Although, I wish they'd get away from the "Team 3-Pack" at this point. I don't want MORE translucent rangers. Just give me a 3 Pack of "We haven't made these yet". Make them an "All Pink" or "All Yellow" 3-Pack. At least with our local TRU, that TRU exclusive thing is a bonus. Not at first, but they tend to get so much exclusive PR stuff in that just sits on the shelves until greatly discounted. Every time I've been in in the last month, I've seen the first wave of TRU keys in stock. Though that said.. I'm kinda over the keys. Gonna sell mine off. It was just one day I looked at them and wondered why I even had them. Also miffed that I still can't complete a Mystic Force team if I wanted to. The awesome thing is now those who wanted to can complete their collection of Sixth Ranger Keys! (Not counting Titanium due to it being a con exclusive). That In Space pack is new too though, isn't it?? The first one had Red/Blue/Black and didn't contain a Yellow. I will say this once and only once. Jungle Fury B is now out, so everyone please kindly, MOVE OUT OF MY WAY. I WILL OWN THEM ALL. In Space pack is new too. First release was Red/Blue/Black, this one is Translucent Red, Yellow, Translucent Blue I believe.